In honor of my birthday, I share a photo that took me by surprise and then gave me a good laugh. Yes, I admit that I am a creature of some habits. With my morning cup of tea and my usual blueberry jam-covered waffle, I sometimes add a piece of sausage (soy-based protein, of course). Apparently the way I eat my food is a habit, too. 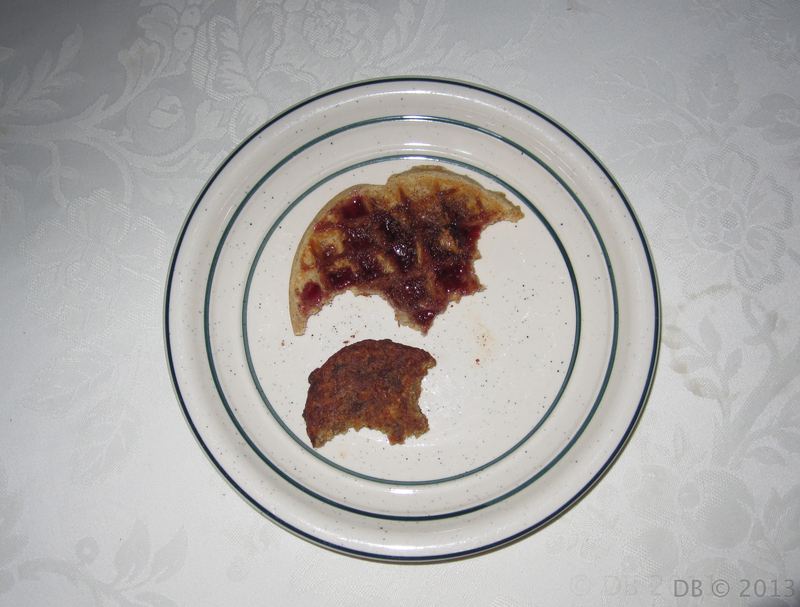 Lo and behold, one morning I went to put my waffle back onto the plate and take another bite of sausage, when Mother Nature decided to play. What you see in the photo is exactly how the waffle landed on my plate – I didn’t rearrange a thing. Talk about similar polygons! I had to run and get my camera. I’ll never see my breakfast in quite the same way again. Hope it makes you smile!